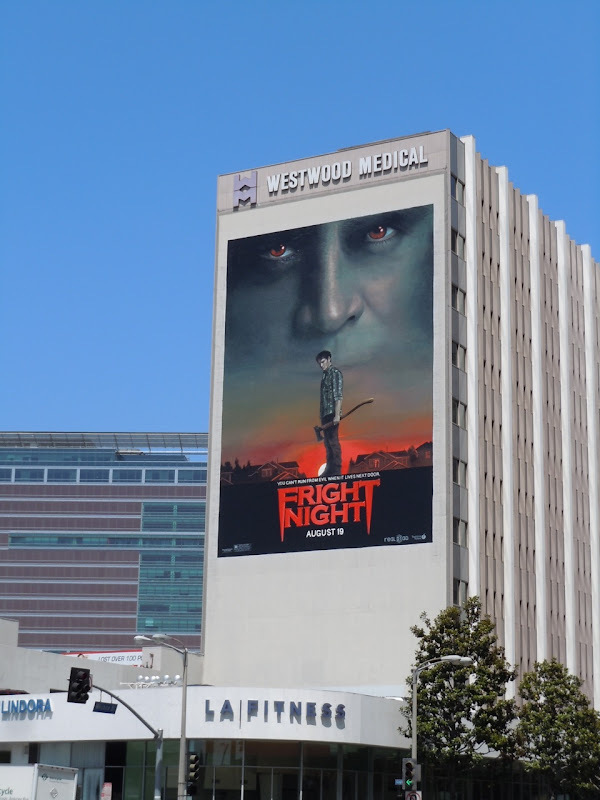 Yes it's true, Hollywoodland has officially run out of new ideas as this Summer sees yet another remake in the form of Fright Night, following in the footsteps of a new big screen version of Footloose and a fresh television reboot of Charlie's Angels. 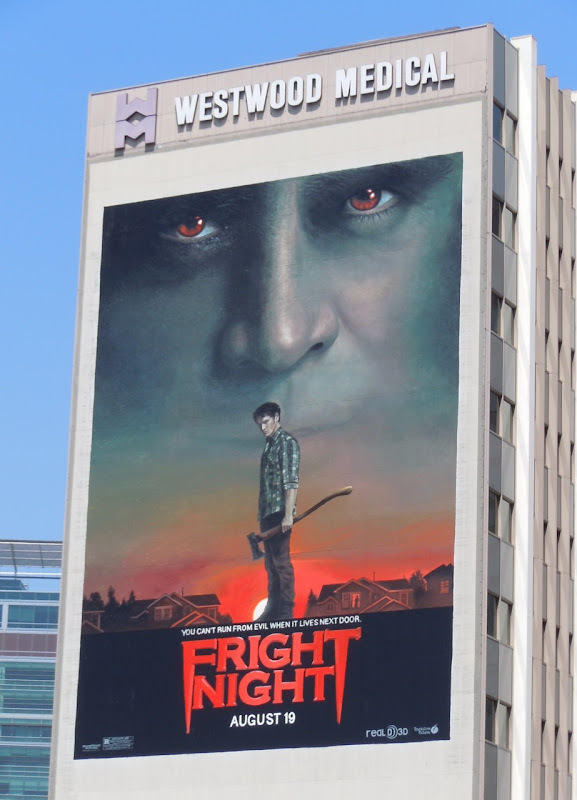 Fortunately this impactful giant billboard for the new Fright Night makes for a superb visual, which goes a long way to redeeming the movie's lack of originality. 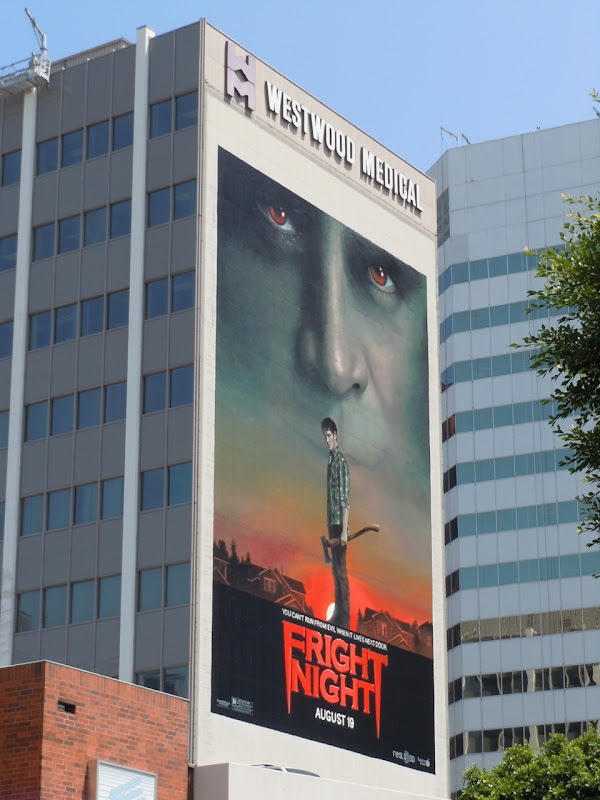 It really is a dramatic image and those haunting eyes really stand out with a cool Silence of the Lambs quality. 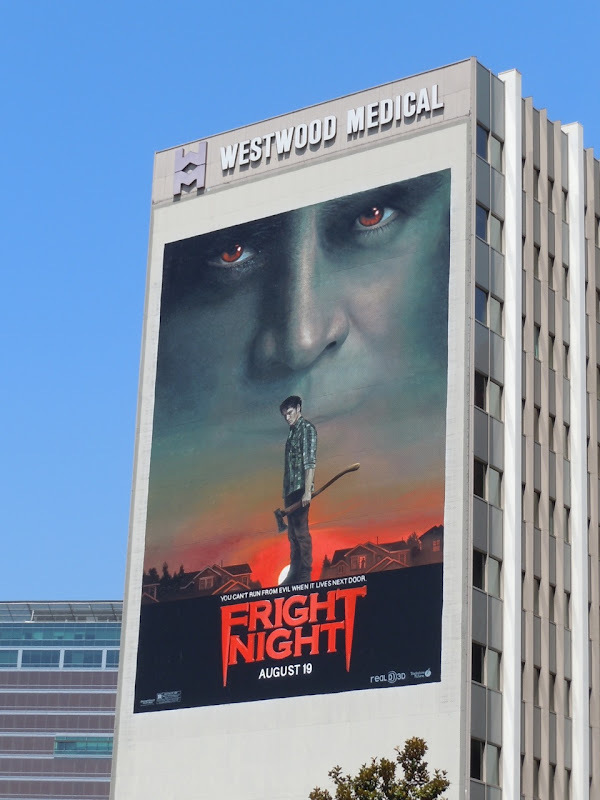 Also keeping Daily Billboard's hopes alive for a successful remake of the 1985 original comedy horror is the choice of Colin Farrell on vampire duty, Anton Yelchin (of Star Trek and Terminator: Salvation fame, pictured in the billboard) as his neighbour who guesses his supernatural secret and David Tennant (the ninth Doctor Who) as the vampire killer he enlists to help him. 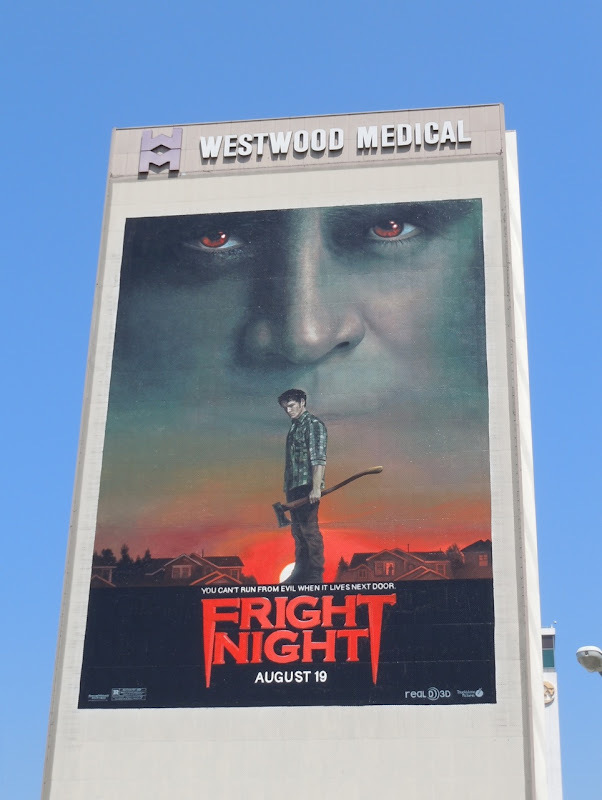 This super-sized Fright Night billboard was photographed along Wilshire Boulevard in Westwood on August 10, 2011, and even though it's great publicity for the movie, someone wielding an axe on the side of your building probably isn't the best visual for a medical establishment.